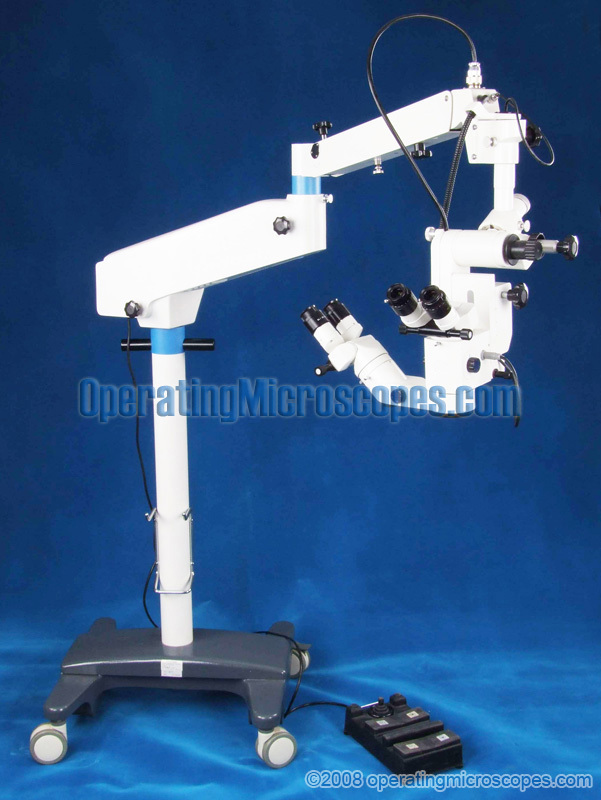 This surgical operating microscope is mainly used for neurosurgery and brain microsurgery but can also be used for orthopedics. 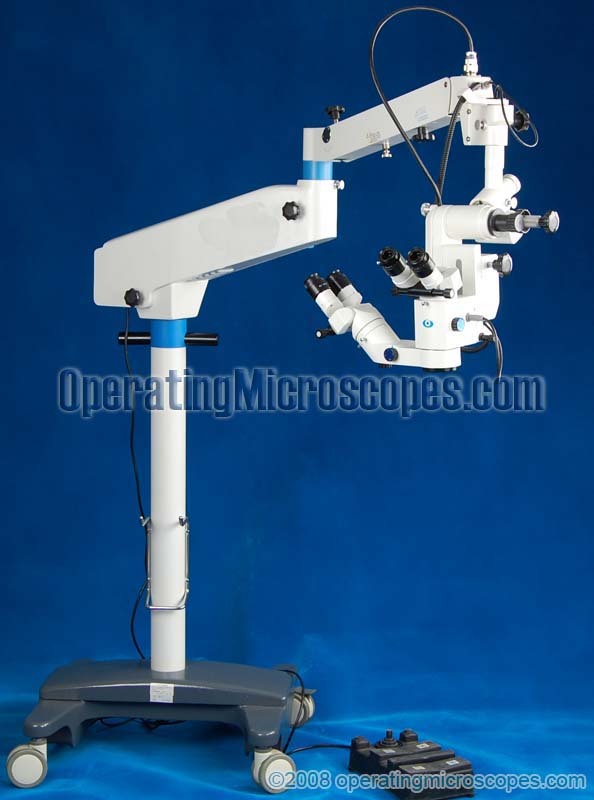 The main advantage of this microscope is that both the main surgeon’s head and the assistant’s head are able to pivot their angle of inclination. They both pivot independently. The main head and the assistant’s head are both binocular versions. 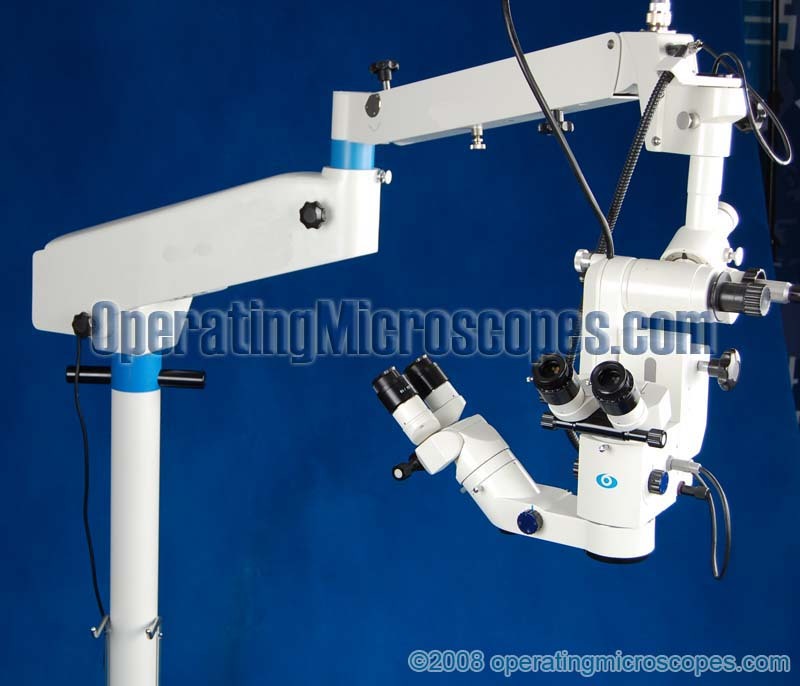 The main head has magnifications that are selectable, allowing five steps of magnification levels. 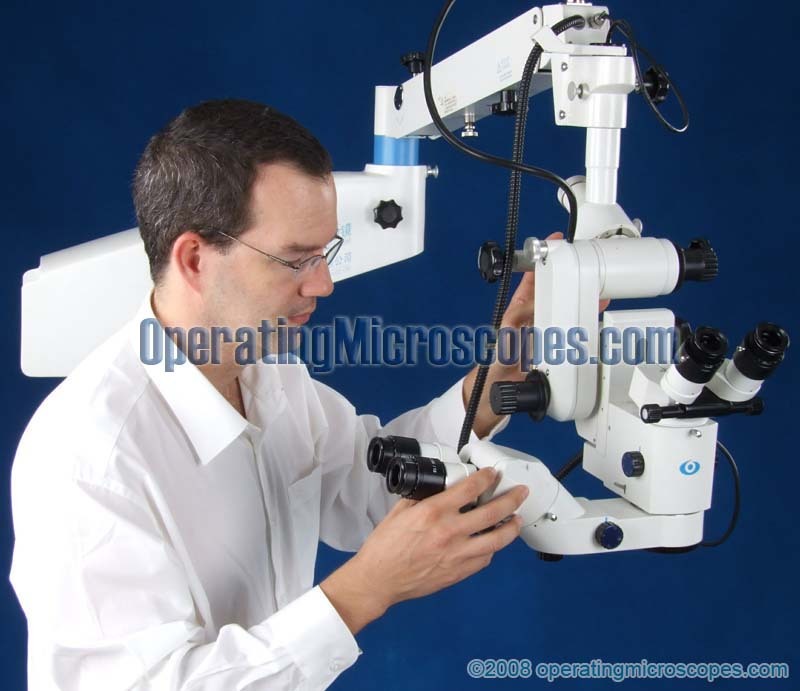 The assistant head is a three step magnification version. The magnifications are independently set. The assistant’s head has a fine focus that allows it to be in sharp focus when the main head is in focus. 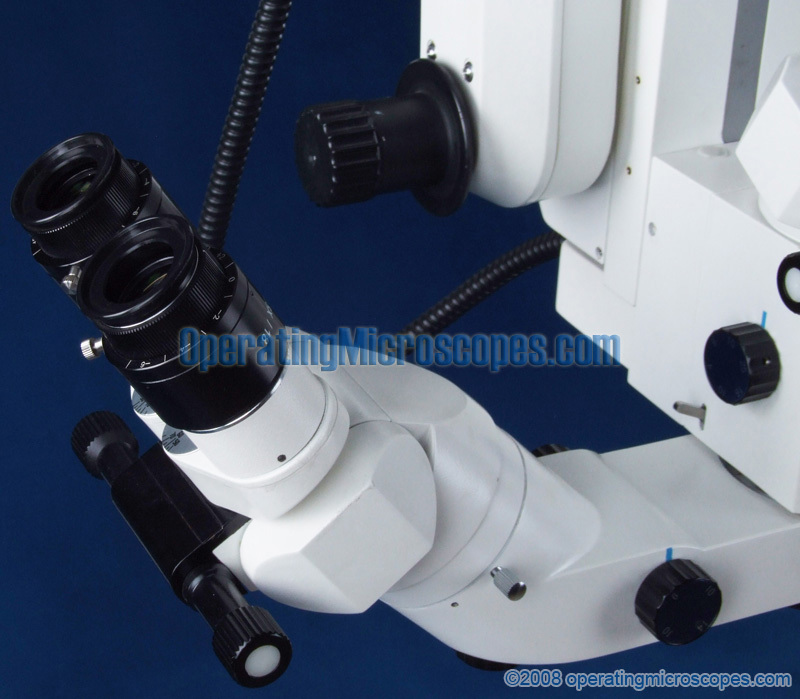 This is not a zoom optics microscope. 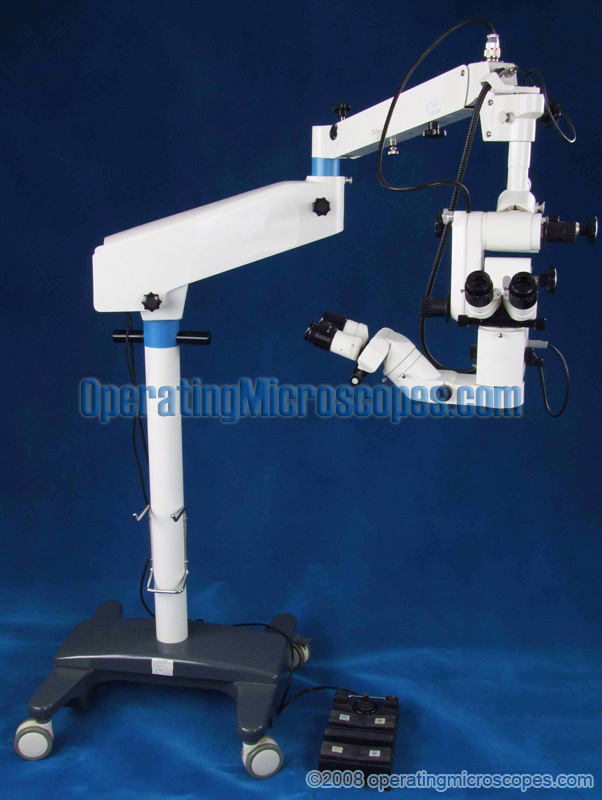 The equipment has hand controls as well as a foot controlled motorized pedal that controls the focusing as well as rotates the complete head assembly. 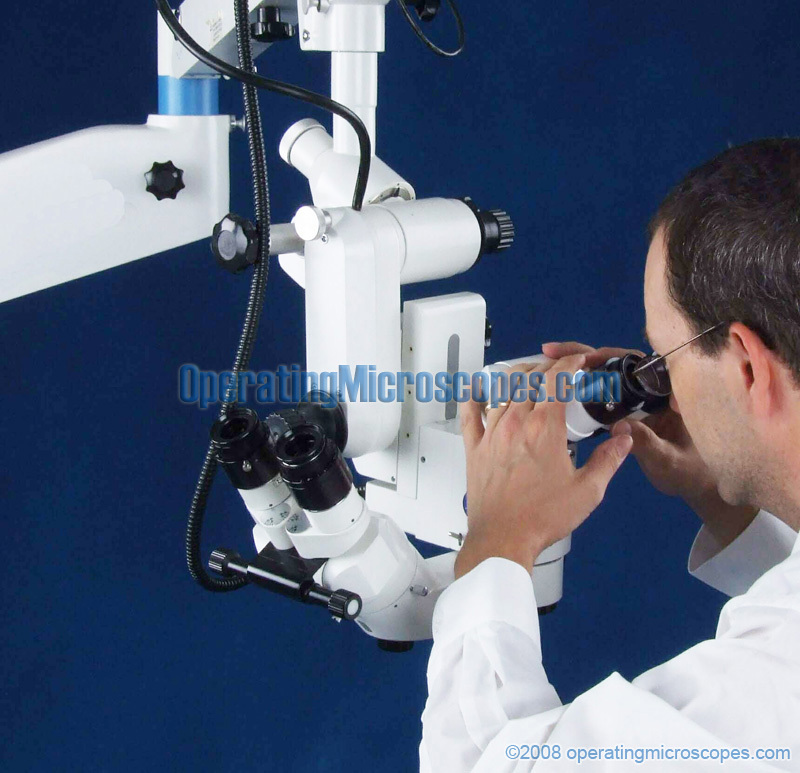 An optional monocular teaching tube can be installed, allowing viewing of the surgical procedure by a third medical doctor. 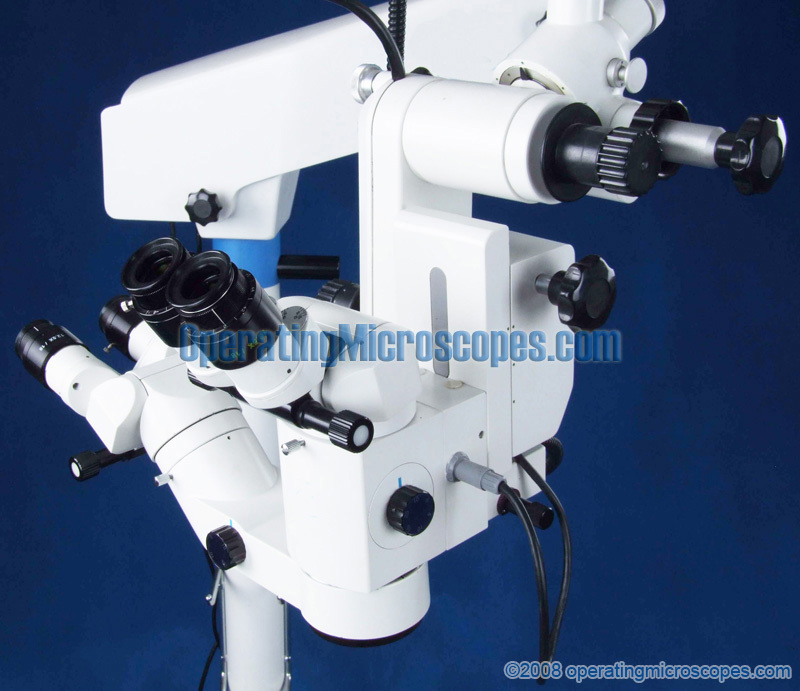 An optional beam splitter can be inserted, allowing a c-mount, and ultimately, a ccd camera to be attached. 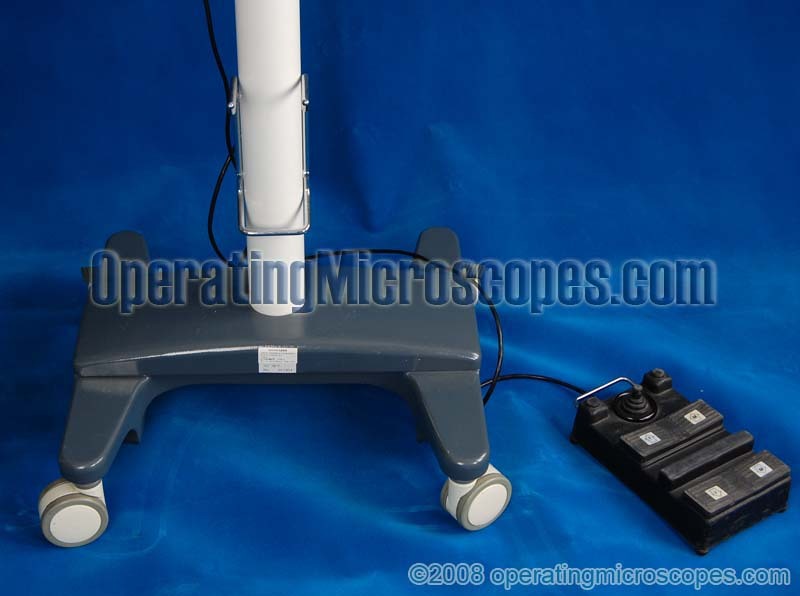 This will output a video signal to a CCTV monitor for all medical personnel to view the surgical operation procedure on the screen. 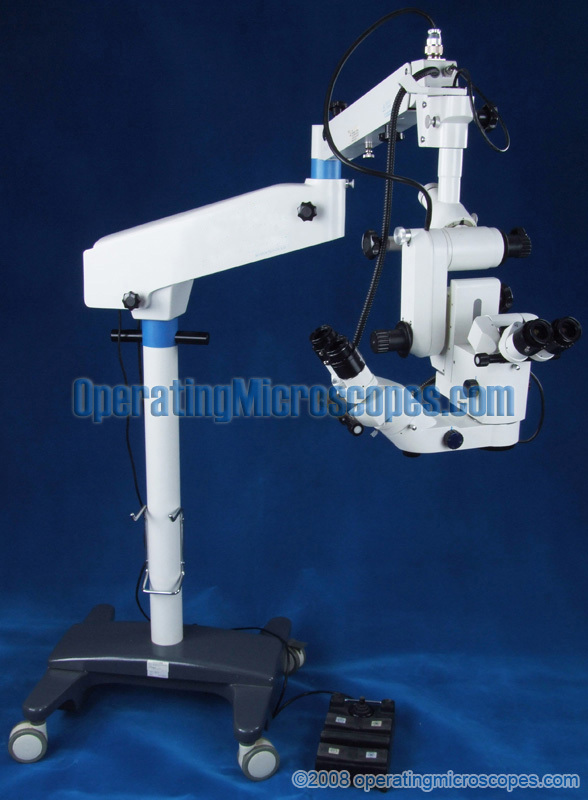 The CCTV monitor, CCD camera, c-mount adapter, and beam splitter are optional accessories and not included with the main operating microscope package. 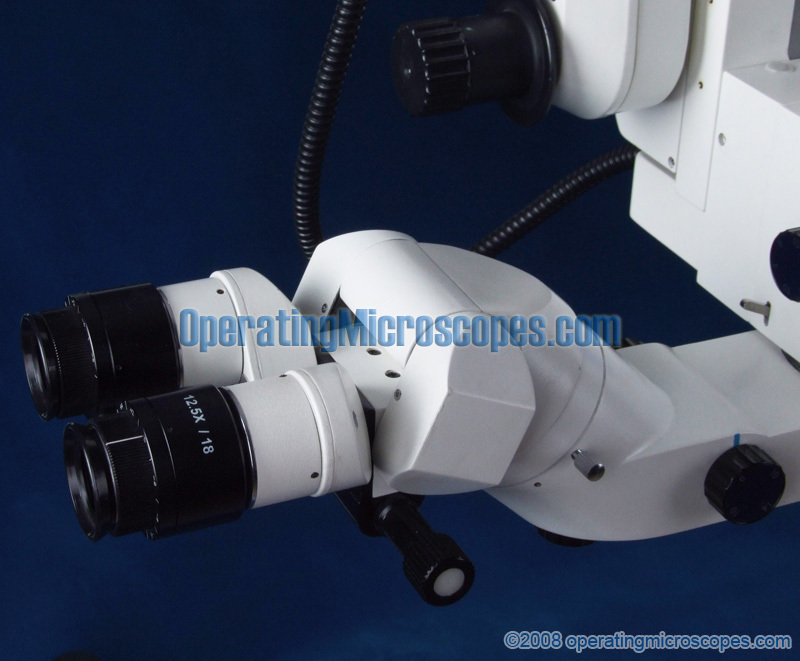 This microscope includes two commonly used bottom objective lens: f300mm and f350mm. An f400mm lens is available as an option to provide greater working distance. 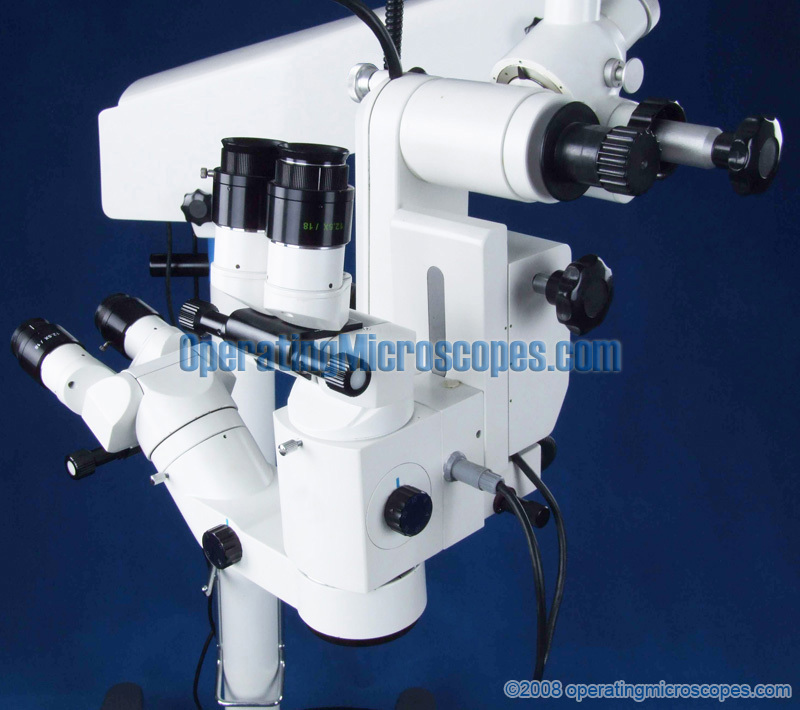 The lens is made from high quality imported German glass for reduction in lens aberration. 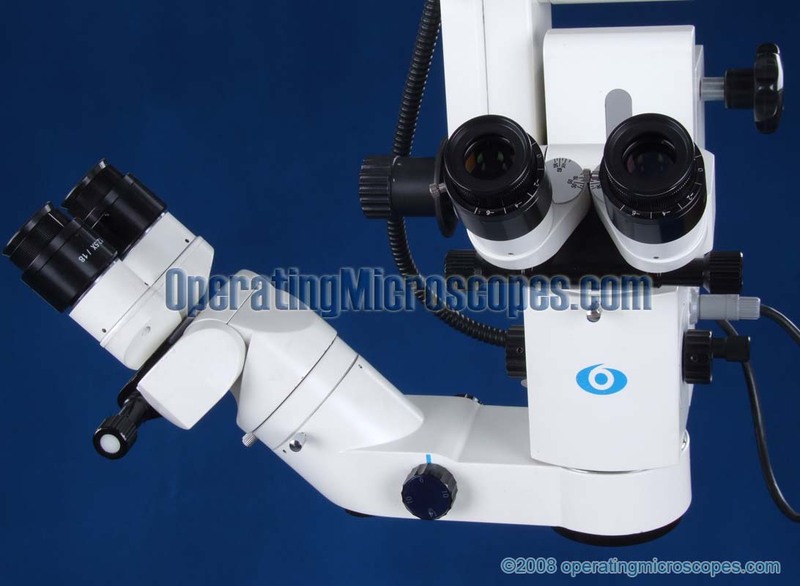 All optics are multi-coated and include mildew proof and anti-reflection coatings. The bulb can easily and quickly be switched during surgery if it blows. 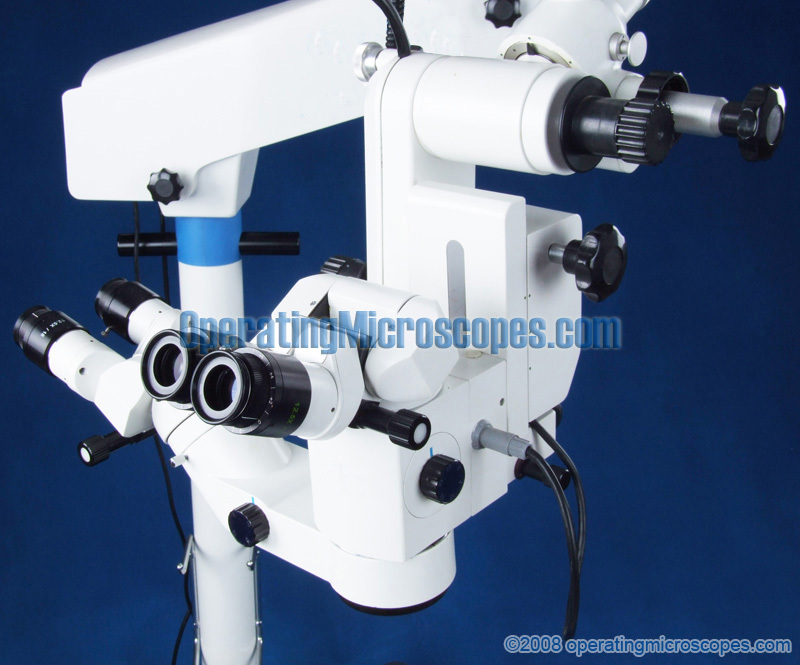 This surgical operating microscope is made in a US FDA (Food and Drug Administration) registered manufacturing facility as well as has CE certification. What is neurosurgery and what applications does it cover? It is much more than just brain microsurgery. A neurosurgeon is involved in the treating of patients with central nervous system, peripheral nervous system, and spinal cord, and vertebral column diseases and disorders that are amenable to surgical treatment. 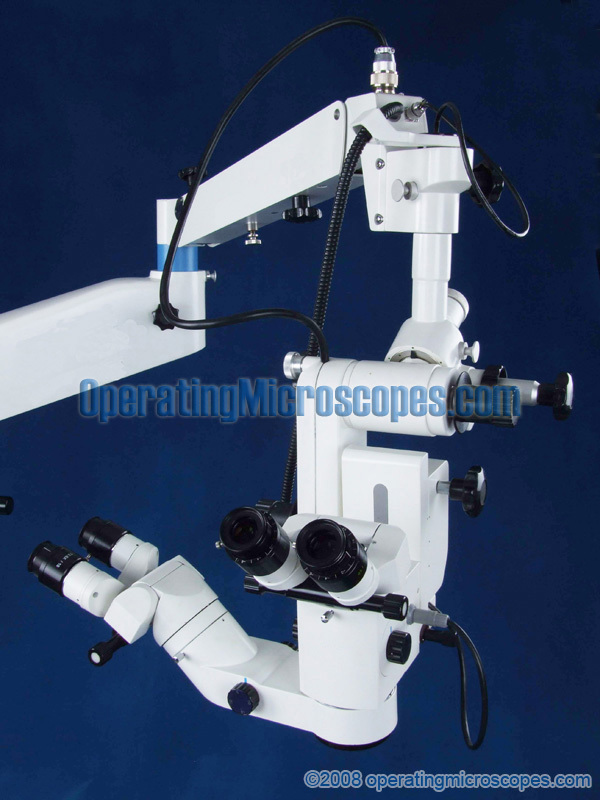 Neurosurgeons use this type of microscope for the neurosurgical procedure. Neurosurgeons treat disorders such as spinal stenosis, hydrocephalus, head trauma, cerebral aneurysms, stroke, carotid artery stenosis, moyamoya disease, congenital malformations of the nervous system, chiari malformations, spinal disc herniation, spinal cord trauma, injuries involving the peripheral nerves, intracerebral hemorrhage, brain tumors as well as tumors of the spine and spinal cord and peripheral nerves.